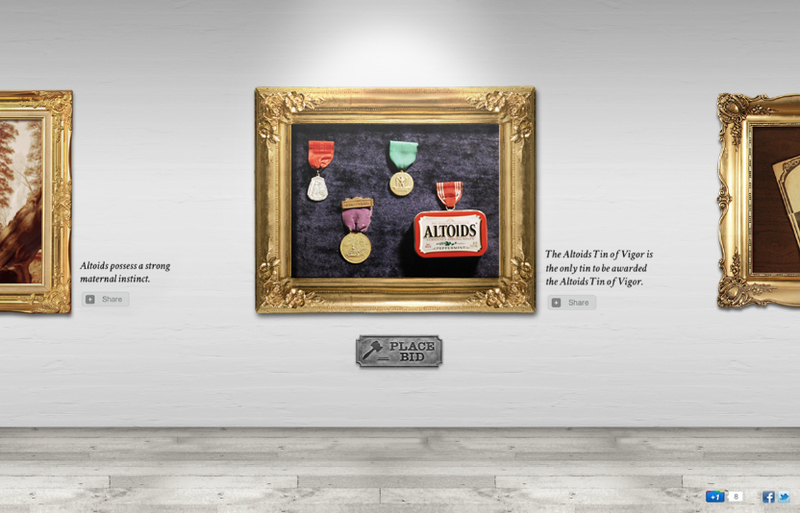 An album with a hidden track, an Altoids tin with a hardwood floor and a painting of Loch Ness featuring an Altoids tin are among the 'curiously strong' historical relics, apparently from Altoids' 'storied past', on display at HallofCuriosity.com. The site was created for the brand by Energy BBDO using Tumblr. Some of the items are for actual sale on eBay - but one, the Golden Monkey Lamp, was "stolen from the Louvre", as this viral video reveals.